Photograph kindly loaned by Irene Bruce (née Lowe). Names were recorded on the photograph in 1953. Basil Davenport, Arthur Brown, Tony Morris, and Barry Charter. Christine Arnold, and Irene Lowe. 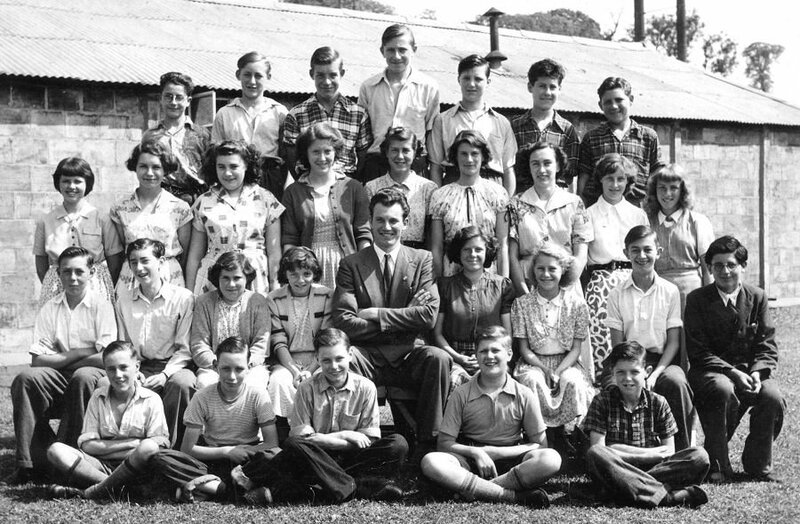 Second row (sitting on chairs, left to right): Kenneth Jude, Brian Osbourn, Rita Clarke, Maureen Dance, Mr Mitchell (teacher), Sylvia Goffin, Ann Cornett, Richard Presland, Stanley Smythe. Front row (sitting on grass, left to right): George Reynolds, Frank Thorpe, William Orchard, John Lewis, Henry Booth.